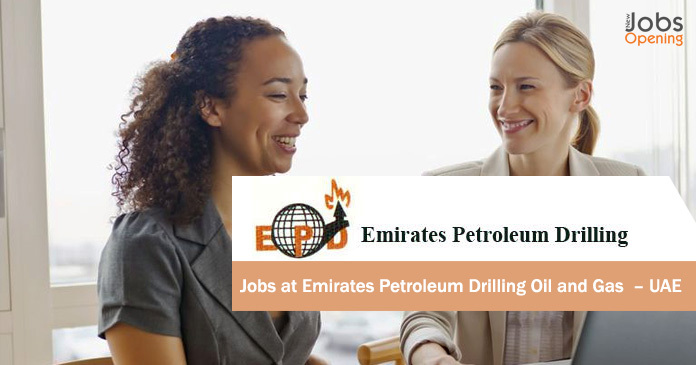 Emirates Petroleum Drilling Careers: Emirates Petroleum Drilling (E. P. D.) was Established in the year 2000 in Dubai to service the oil and gas industry globally with focus mainly on GCC countries. Our Organization is a customer oriented quality service provider in the shipping, fabrication, oilfield and wind energy sectors. Our main focus is on human resources, crew training, consulting for maintenance of offshore platforms and legal advisory for new firms who are looking forward to establish business in the U.A.E. Emirates Petroleum Drilling can combine wide ranging operational and managerial experience in the oilfield and offshore industry. Through our years of experience we are in a position to source and provide a wide range of qualified and experienced personnel to the oil & Gas industry (Drilling, Production & Maintenance).